The Mineola area of Port Credit, Mississauga, or more specifically Mineola West, is a small, exclusive enclave of expensive homes in the south-central part of Toronto’s western suburb. 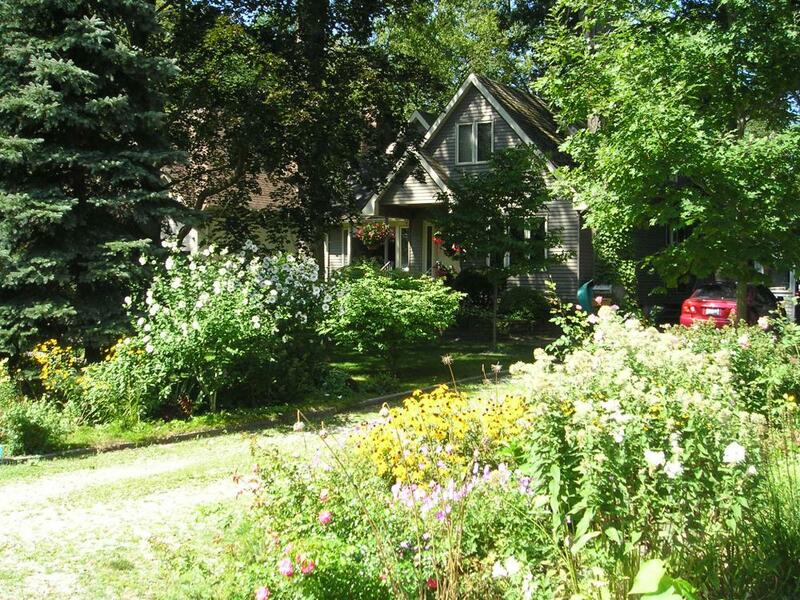 Nestled just off of Hurontario Street, south of the QEW highway, and on the northern fringes of Port Credit, Mineola was originally a location of bucolic cottages, There is an extensive tree canopy here that gives Mineola West a parklike appearance. Ranch bungalows and cottages were originally built here on massive, forested lots, with long, winding driveways offering the ultimate in privacy and seclusion. Today these lots are highly sought after, and new estate homes of palatial proportions are replacing many of the original houses. disclosure: photos in this neighbourhood profile are for informational purposes only, and are not meant to portray or imply in any way, that these properties are for sale. West Mineola is a discreet place, without large signs or markings, and it is easy to miss unless you know the directions. As you exit west off Hurontario Street onto Mineola Road, there is an immediate transformation from the bustle of Mississauga’s main thoroughfare, to a secluded setting of tall trees, narrow streets, and incredible properties. 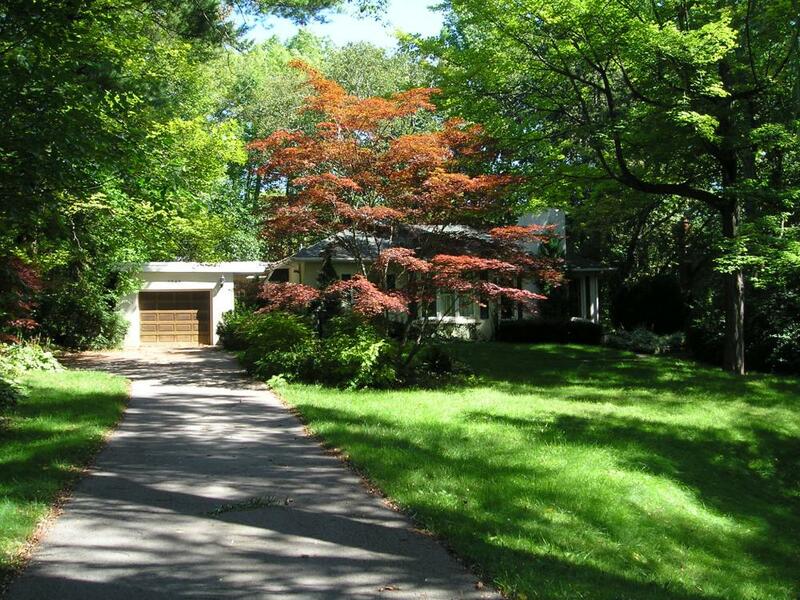 As you proceed along Mineola Road W., the trees get taller, the houses get bigger, until you reach the end of the road – the Credit River, where there are a few amazing properties facing directly onto the river. Streets in Mineola West include Kenollie Ave., Indian Valley Trail, Pinetree Way, Woodland Ave., Veronica Drive, Inglewood Drive, and Stavebank Rd. N. Almost all these streets feature the high tree canopy that is the trademark of Mineola West. and it can truly be said, driving or walking them often feels like you have entered an undisturbed Ontario forest. The tall trees accent impressively landscaped properties, on massive lots. Here you find a mix of the original bungalows and cottages, complemented by more recent, estate type properties. 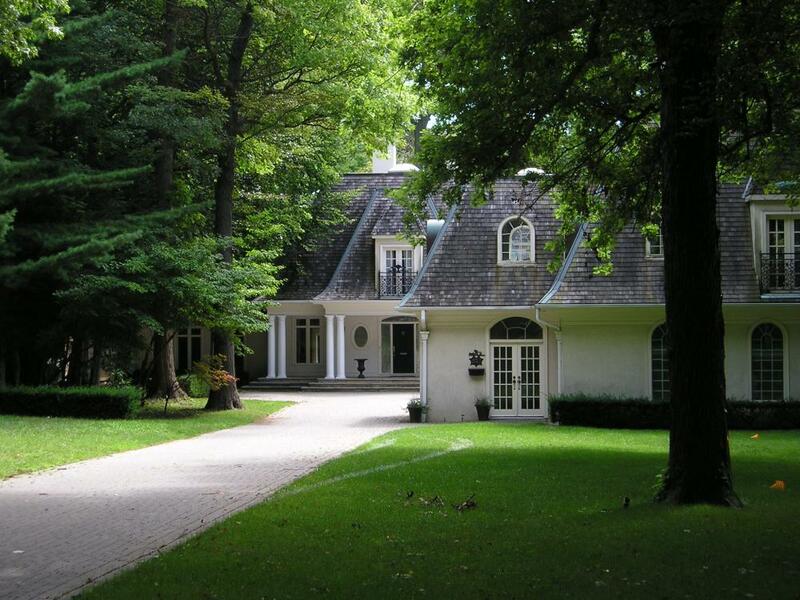 As with several other luxury neighbourhoods in Mississauga, local residents often refer to their neighbourhood as “Muskoka in the City”, and it is not hard to see why (‘Muskoka’ is a renowned parkland area of lakes and forests, situated some distance north of Toronto, and ‘Honey Harbour’ is a prime location within Muskoka). 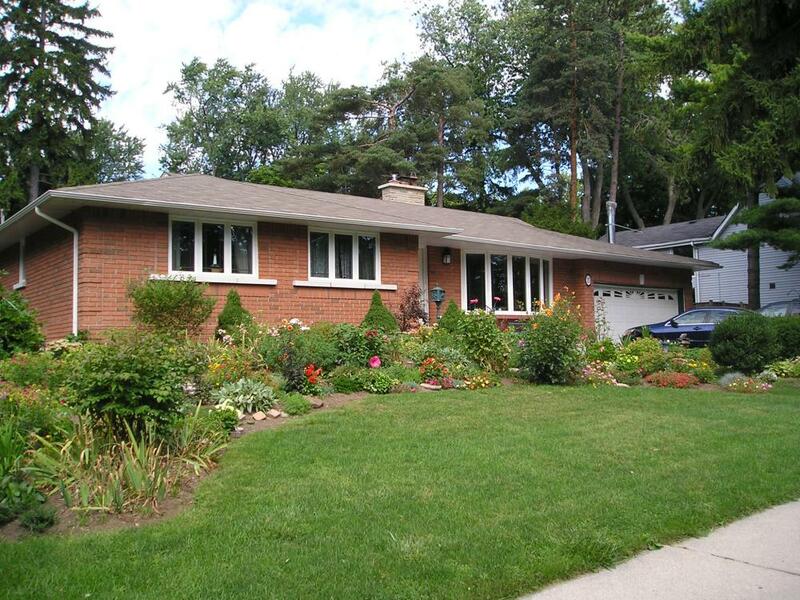 The luxury homes of West Mineola, as you might imagine, features some very expensive, luxury homes, and they are indeed at the apex of all Port Credit real estate sales. During 2018 there were 11 homes for sale here which sold firm through the MLS, as reported by the Toronto Real Estate Board, a decrease of half the 20 sales which were recorded in 2017. You can see the steady progression in prices, from the earlier bungalows and cottages, to the larger estate homes of today. Of the 11 homes which sold, 7 were 2 storeys, 3 were bungalows, 1 was a 1.5 storey home. Mineola West in Mississauga continues to be a highly sought after location, both because of the amazing forest canopy, oversize lots, and incredible properties, as well as the central location of this area. Commuting time to Square One Shopping Centre is about ten minutes by car, to Trillium Hospital maybe 5 minutes. The QEW highway is only a few blocks away, although in the forest, you cannot hear it. The nearest GO Train station that services the area: Port Credit on the Lakeshore Line. And the shops, restaurants, and marina of Port Credit are only minutes away. Several builders have been active in West Mineola, and today you will find an impressive assortment of offerings, with chateau grade estate properties for sale featuring every imaginable luxury. The remaining classic bungalows and cottages to be found here are a highly sought after commodity for both buyers who intend to live in them, and for the builders, who intend to build new residences on the large lots. I hope that you have enjoyed my very short review and photo tour of Mineola West, the best of Port Credit, and an area of Mississauga where you can find some of Canada’s finest and most expensive properties. Our tour today completes part 4 of my ongoing series on the luxury neighbourhoods of the City of Mississauga. Get all the information you want on Mineola West real estate, and see the latest homes on the market now.